Jason Russel is an activist that has taken film and narrative to new heights to raise awareness of a long hidden conflict in central Uganda. The West has seen glimpses of social, political and economic violent crimes prevalent in the African continent through Hollywood dramatizations like Blood Diamond and documentaries like Ghosts of Rwanda, but what started out as Russel’s campaign against injustice and violence has become the global communities’ campaign. The Kony 2012 movement wants the world to know Joseph Kony. For twenty years, he remained largely nameless, just a blurb on on the back pages of mainstream media. During that time he has tortured, maimed and killed thousands of his own people. In your own way you can participate in the effort to stop more lives from being hurt. Follow the link to find out how to help Russel spread the word about what’s happened to the families and children of central Uganda and what’s bound to happen to more without intervention. Riding down Devon Street, on the way to Wrigleyville’s celebrated Music Box Theater, mothers wrapped in saris guide their children along by the hand. Cabs lurch from cross-streets attempting to join the main traffic line heading uptown. The sun slings low in the West beaming off building facades, some outfitted from the 1970’s with large, conventional, yellow-tinted lightbulbs wrapping marquees advertising Punjabi cuisine. Feet have no fear of the sidewalks, neither people’s hindquarters of public benches. Faces greet known neighbors, and peer curiously at strangers. Bodies enter grocery stores and exit Bollywood movie variety shops. Arms carry gifts of jewelry and clothing from South Asian themed boutiques. Heading South on Clarke Street, the drive turns through a completely new global community. These way markers display the contours of City life. An Urban Planner’s delight, Gary Hustwit takes his previous glances at how design influences us, in Helvetica and Objectified, and magnifies them to City scale in his latest work Urbanized. Never looking to impose definitions on his audience, Hustwit lets decision-makers, and descion-shapers, discuss the finer points of city design imperatives from perspectives in their corner of the globe. Since cities rise and fall around economic and social activity, the forces guiding both pull tight the philosophical threads along the continuum of urban design practice. Jane Jacobs, Robert Moses and Oscar Niemeyer place major landmarks on the dialog. Hustwit then captures reverberations of these themes within contemporary echoes of the activist, developer and high modernists. Urban champions, like Bogota’s former Mayor Enrique Penalosa, enrich the discussion of cities further and, more importantly, highlight practical quality of life considerations that make America’s civic values and local politics look ridiculous in comparison. Milwaukee, although not featured in Urbanized, benefited greatly from Mayor John Norquist’s experiments with New Urbanism, giving sweet kool-aid from which future domestic urban champions could develop their own flavors. Providing more than a primer on Urban Planning, Urbanized also logs Hustwit’s travels during production of his previous two films. The cinematography energizes wanderlust as Hustwit wisks from Brighton, UK to Rio De Janeiro, Brazil (I bet you can’t guess which is older) and a bunch of famous and not so famous stops in-between. Urbanized screened in Chicago last weekend, stopping next in London on October 21st. Historian John Gurda guided the evening’s story tellers by explaining signposts of historical significance to the Capitol Heights neighborhood and Milwaukee’s Black community. In 1956, a mall that came to be known as Capitol Court made Capitol Heights its home. 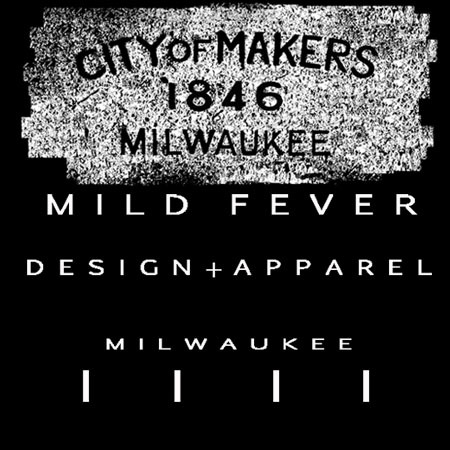 It was Milwaukee’s third major shopping center, after Southgate, on South 27th, and Bayshore. At Capitol Court’s founding the neighborhood was barely 10% percent African-American. Today at least 75% of Capitol Heights is African-American, with a growing population of Hmong-Americans. A few blocks away, on Fon du Lac Avenue, sits Satin Wave Barbershop. Gurda relays that Fon du Lac Avenue, once an old plank road, epitomized the folk saying describing Milwaukee “Look to the East the Lake, and to the West the Land”. Back then, farm goods carted into downtown from as far as the name sake of the street, true also of Appleton Avenue and, at one time, Windlake and Muskego Avenues to the South. As diagonal roads, they represent seminal thoroughfares that pre-date Milwaukee’s grid system of streets. Around the same time, in the 1850’s, Sully Watson became one of Milwaukee first Black land owners, after migrating with his manumission papers gained from Virginia. He and his wife Susanna lived successful lives in ante-bellum Milwaukee, supported by his work as a tradesman. Although under the constant looming menace of the Fugitive Slave Act, which gave any white person claiming ownership over a black person force of law to take them into their possession immediately, the Watson family carried on raising a family. The Watson offspring found little success extending their family tradition of gainful trade under the repressive, reactionary and often violent post-Reconstruction American social caste system. The Milwaukee Public Museum recently added a tribute to the Watson family to the Streets of Old Milwaukee. Marvin Pratt attended Terminal Milwaukee as the poet laureate of the evening. He treated the audience to a trip down memory lane, through the steps of a young man that emerged, from an era tainted with the trappings of fast talking, slick dressing cats just trying to survive in a time of intense depravity and a racial caste reality, to emerge as a man with political prospects. Fulfilling his ambitions in 1986, Pratt’s district elected him to a Milwaukee Common Council. A seat that he held until 2004, when he ran for Mayor against the current incumbent Tom Barrett. Along his path to political achievement, Pratt always held close in his memory the tendency for the Barbershop to draw people of all walks of life. His appreciation for the people aspect business and politics mended a common bond with Ronnie over the years. Pratt’s fancy for a certain young woman solidified their connection, when a romance sprung into a loving and lasting marriage with Ronnie’s older sister Dianne. Dianne treated Terminal Milwaukee to amusing tales of adventures in the Bronzeville, where she, family and friends often and innocently traveled about the City on the 23 City bus into foreign worlds barely miles away from her home. On one occasion, she and her playmates found themselves far from home at Mayfair Mall, where the only route back required a paid fare. Having no money, but in good spirits and unbegrudged after being refused a ride, she lead her fellows on foot back to her Sixth Street neighborhood. Tying Ronnie, Marvin and Dianne’s stories together, a sown thread bearing the tremendous influence that family played in establishing and maintaining the barbering trade in their lineage, all attached to the first patch in the quilt, Ronnie’s grandfather the first Black Master Barber in Milwaukee.